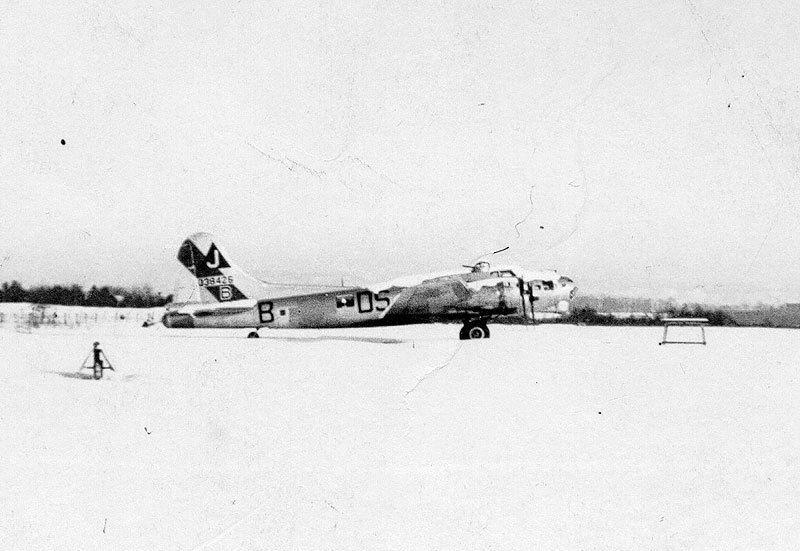 USAFF - B 17 G "426"
Photo of #43-38426 from the winter of 1945. Presumably just before the aircraft was flown from Jönköping. In front of the aircraft you'll see one of the stands that was used to fix the engines. Very few photos exicist of the 426. Here is a photo fromSmålands Allehanda October 9 1944. 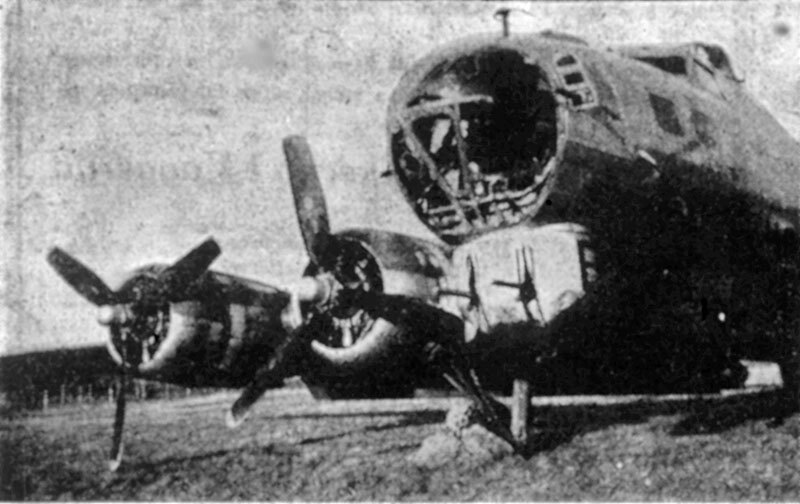 Note how the landing gear has plowed into the ground during landing. 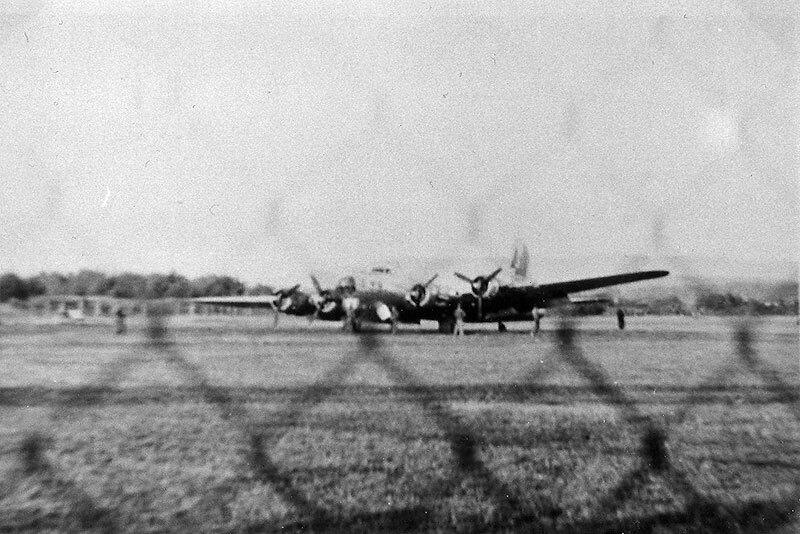 Photo that was published by Smålands Folkblad on October 10 1944. Photo of the gunner Sgt Lester Kern. 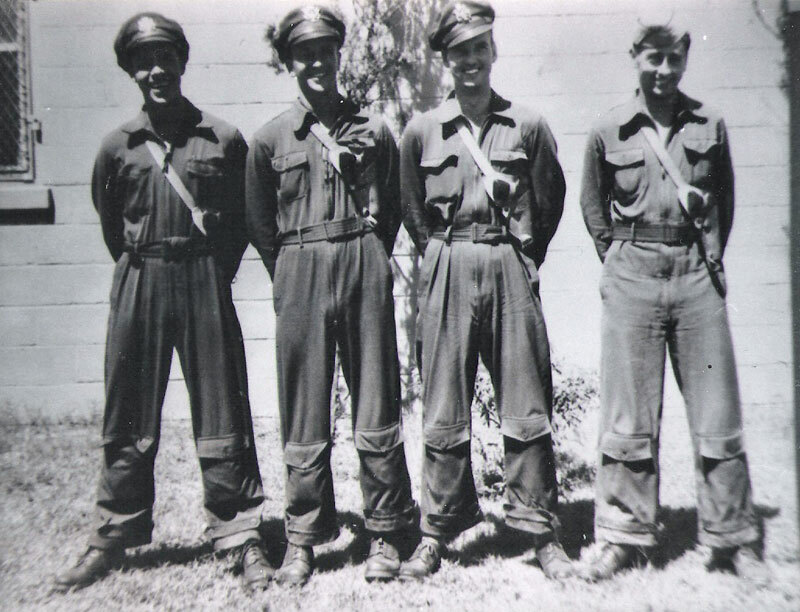 Photo of 4 members of the 426 crew. From the right Allen M. Fisher, Thomas M Carnegie, Robert 'Bob' C. Wagoner and Anthony Cannizzaro. 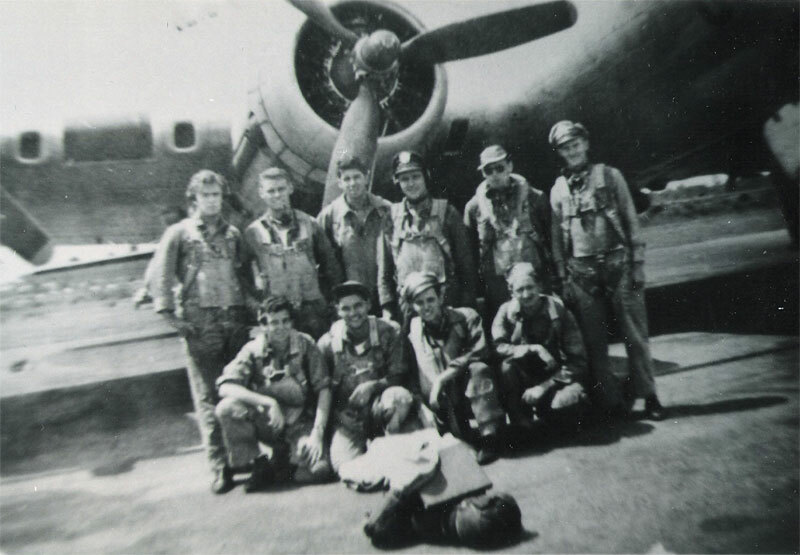 According to notes that came with the photo it says that this is the crew of the 426. Unsure if this is the case but there are reasons to believe some of them where in the October 7 landing in Jönköping.